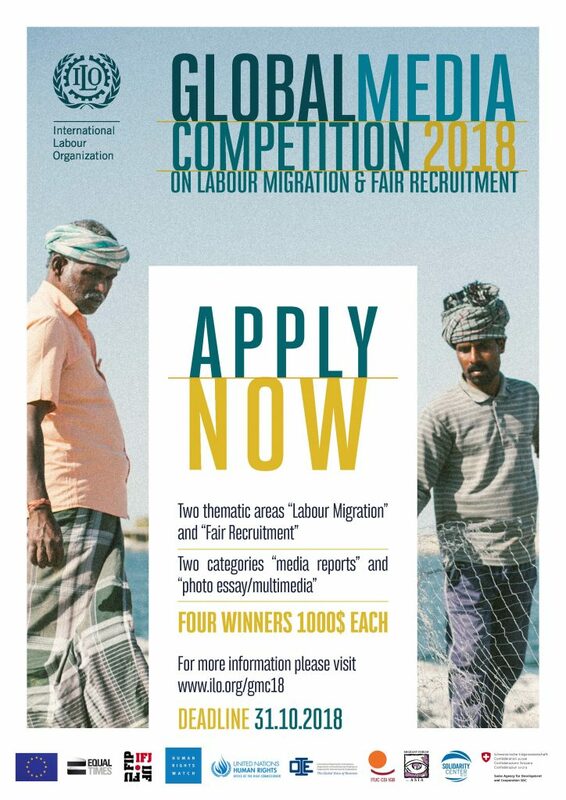 The 2018 Global Media Competition on Labour Migration and Fair Recruitment is now open. The International Labour Organization (ILO) has been leading the organizing of the said international media competition since 2015 to recognize exemplary media coverage on labour migration. 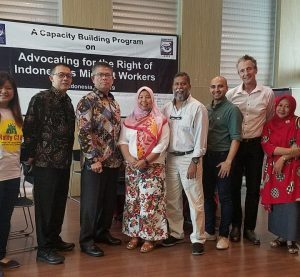 It specifically aims to encourage quality reporting on labour migration given that the media tends to promote a toxic public narrative against migrant workers and their families. 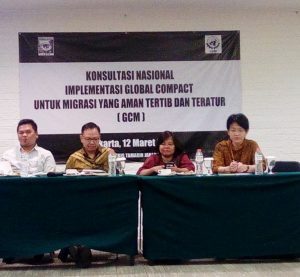 Migrant Forum in Asia (MFA) has been a partner of the Global Media Competition since 2015. The 4th Global Media Competition on Labour Migration focuses on labour migration and the fair recruitment of migrant workers. The 2018 media competition will be contributing to the UN TOGETHER campaign (https://together.un.org/) which has the purpose of encouraging global action in promoting non-discrimination and addressing the problem of rising xenophobia against refugees and migrants. All 193 Member States of the United Nations have committed to implementing the TOGETHER Campaign which will run until the end of 2018, when the UNGA is expected to adopt the Global Compact for Safe, Orderly and Regular Migration and the Global Compact for Refugees. Migrant workers’ contribution to the social and economic development of countries of origin and destination, the protection of their labour rights, the recognition of their skills, their labour market integration, their social protection, migrant workers in an irregular situation, their working conditions (particularly their wages, working time and occupational safety and health, migrant workers in the informal economy, their trade union rights, forced labour, child labour, and trafficking situations). Journalists are strongly encouraged to produce entries that shed light on the realities of processes of recruitment of migrant workers as well as on the positive aspects of fair and transparent recruitment practices. Entries are accepted in three languages: English, French, and Spanish. Entries in other languages will be accepted provided there is a faithful translation in one of the three languages mentioned. There will be a total of four (4) winners (one per category, per thematic area) who will receive $1000 each. As in the previous competitions, winners will be officially announced on 18 December to mark the International Migrants Day. The winning entries will also be featured on ILO website and widely promoted as an example of good journalism. Please find below the brochure and poster for your reference.